At the end of March we took an unexpected road trip to Florida, due to the death of my grandmother. This was our second trip there in less than 6 months. When there before, I had promised our children that the next time we went to Florida, we would go to LEGOLAND. Obviously I had no clue we'd be returning so soon. As I discussed plans and was asking for advice, I was put in contact with two wonderful women who were seeking families willing to write about a visit to LEGOLAND with special needs. Just like that, I was able to fulfill my promise to my children. They now had something to look forward to, as their schedules and routines were literally being turned upside down. Words can not begin to express the gratitude I feel for being given this opportunity. 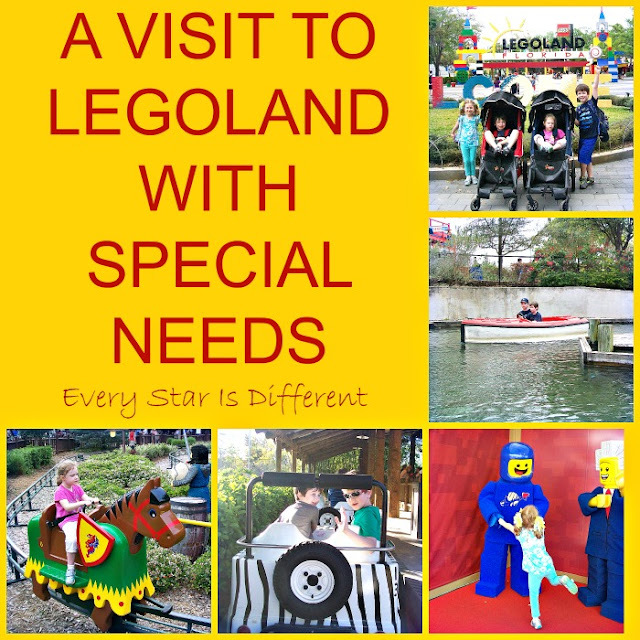 I hope that my experience can help other families with special needs children prepare for an awesome experience at LEGOLAND. 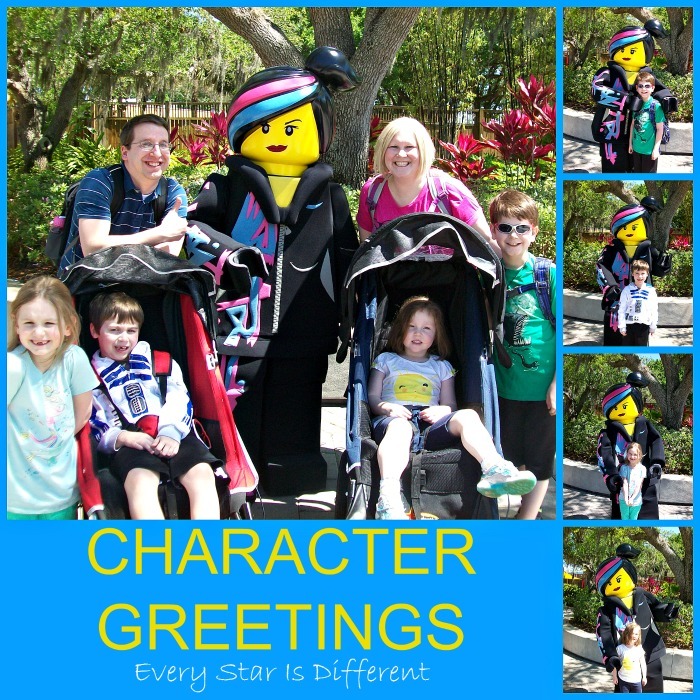 Preparing our four special needs children for LEGOLAND started before we left our home in New York. 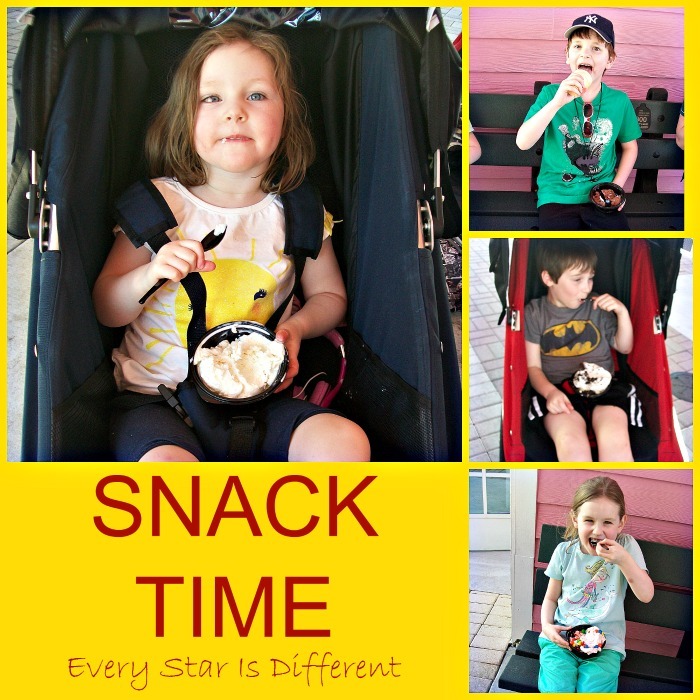 Each of our children has different sensory sensitivities and cravings. 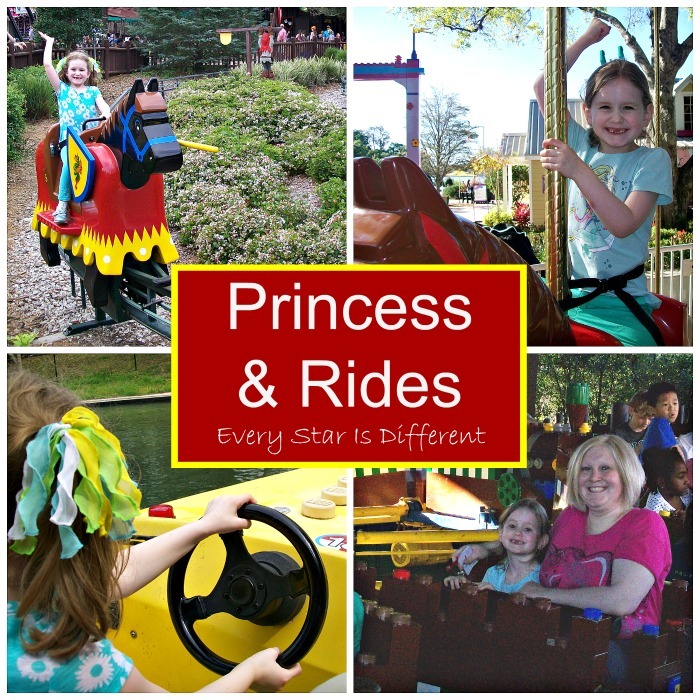 Theme parks can be challenging, especially when they don't know what to expect. To eliminate any surprises that could jeopardize the success of our adventure, we all watched youtube videos of every ride and show available in the park. 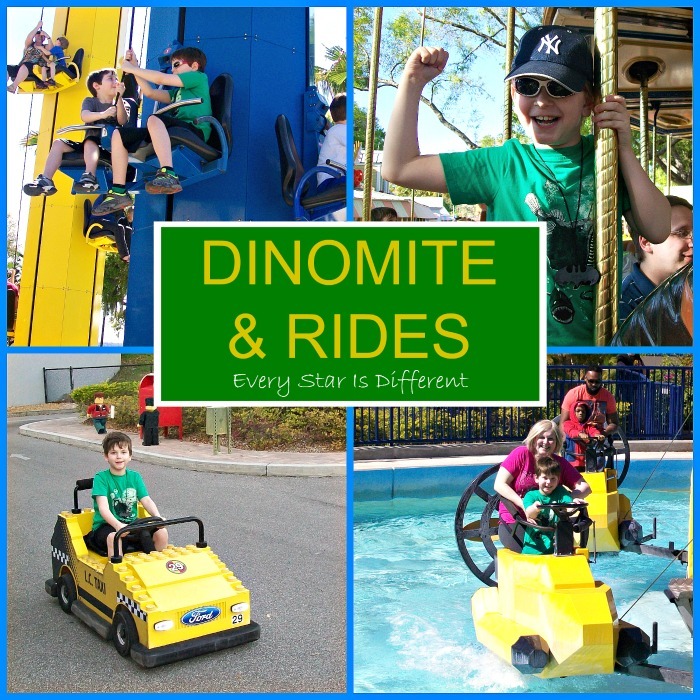 A list of rides, requirements, and restrictions can be found on the LEGOLAND website. This helped us plan our day in the park and prepare our children for what's to come. The day we chose to visit LEGOLAND couldn't have been more perfect. The sky was blue. The temperature was perfect. There was even a little breeze. We were not the only ones to notice this. Fabulous weather paired with Spring Break brought MANY people to the park. From the time we turned into the park from the road, to the time we actually paid for parking and parked our car, an entire hour had gone by. Note to those with special needs children, do not celebrate that you are at the park until you have actually parked your car. You may want to bring something to entertain your children just in case there is a wait. 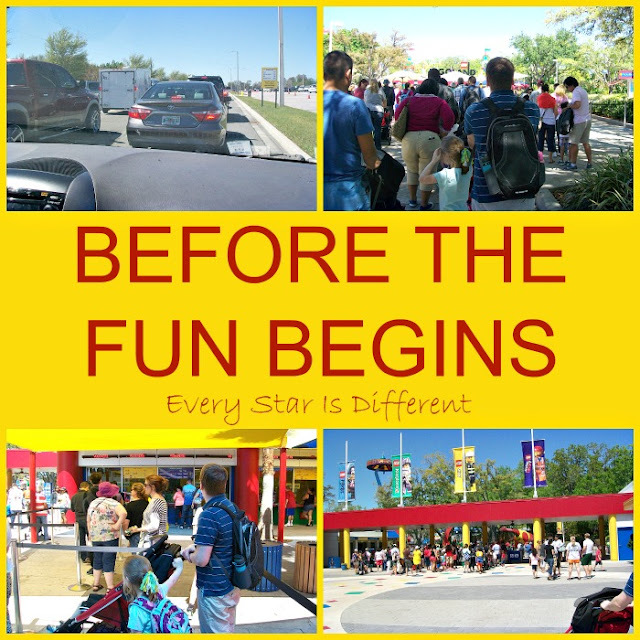 And to be fair, we were given a second opportunity to visit LEGOLAND while in Florida that same week and parked our car within 5 minutes of making the turn from the road. Wait times are completely circumstantial. Once you have arrived at LEGOLAND be prepared to wait in line for a security bag check. 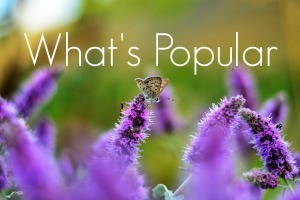 Wait times will vary depending on crowds. If you do not have your tickets in hand, you will need to make one more stop with a possible wait, before waiting in line again to enter the park. We did have to pick up tickets that were waiting for us both times, so the process took about 30-60 minutes. 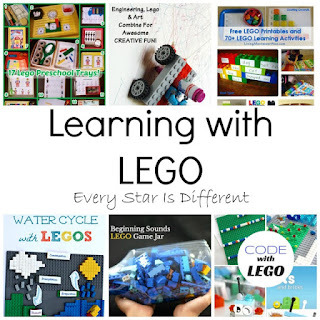 Bring what you must to keep your special needs children occupied and content during these processes. Though waiting to enter the park may not be fun, it's totally worth it. Having been to Walt Disney World in October, I can say the process and wait is comparable. Please also remember we went to LEGOLAND during one of their busiest weeks of the year. This was confirmed by every park employee we spoke to. If Disney World is too overwhelming, LEGOLAND should be a much safer choice. Waiting to enter LEGOLAND does have it's perks at times! Wildstyle just happened to appear, and we were able to experience our first character greeting of the day. My children were beyond thrilled to meet her. She was a blast to interact with. Once we entered the park we were told to go to guest services to receive hero access passes and wheelchair markers for our adult sized handicap strollers. When Bulldozer is overstimulated sensory wise, he is unable to walk and/or function. Sunshine is our runner and has a tendency to become physically aggressive and rage when overstimulated. We could not survive a day in a theme park without our handicap strollers. 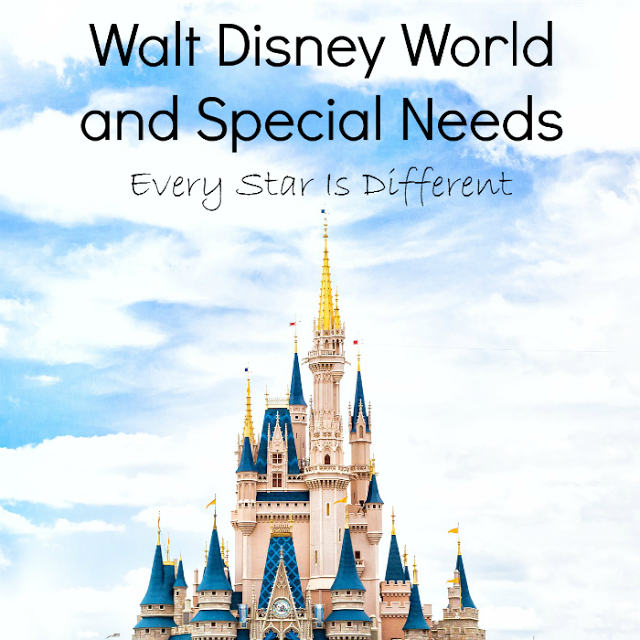 If you have special needs children, you do not want to hesitate making this stop before doing anything else. The benefits are so worth it and the process literally took five minutes. 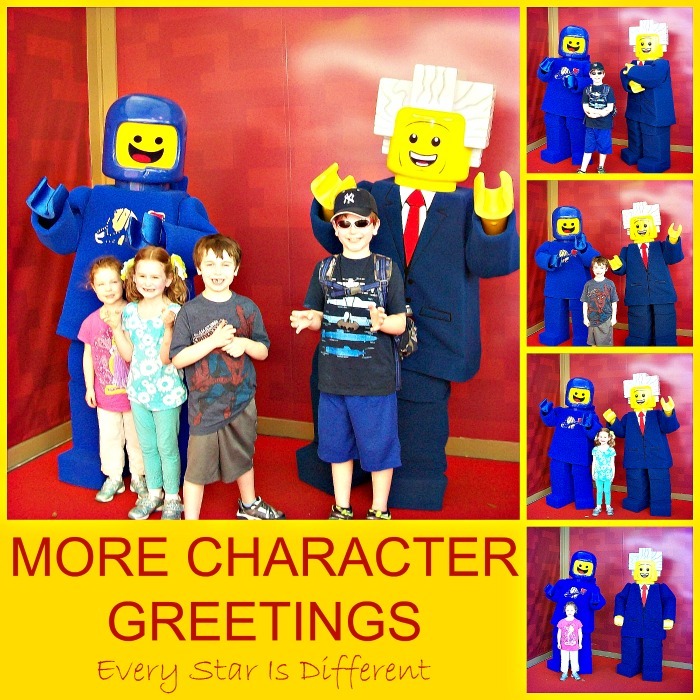 LEGOLAND offers a Hero Access Pass to parties that include individuals with special needs. The Hero Access Pass eliminates the need to wait in line for rides. An adult family member shows their pass to a crew member at the exit of a ride (Those with Hero Access Passes enter the ride at the exit, not the entrance). If there is a long wait time, a crew member will write down a time for your family to return and board the ride immediately. If the line is short, you may board the ride immediately. This is such a blessing for families with special needs children. Not once did we have a wait, during one of the busiest weeks during the year, for more than 45 minutes. While waiting we were able to go on other rides and see other things. One perk about LEGOLAND's Hero Access Pass, is that you can wait for more than one ride at a time. Another perk was being able to parent swap. With four special needs children and only two adults, depending on the people capacity of some rides, it took us a few times through to make sure everyone had a turn. Crew members were absolutely amazing when we asked for help. 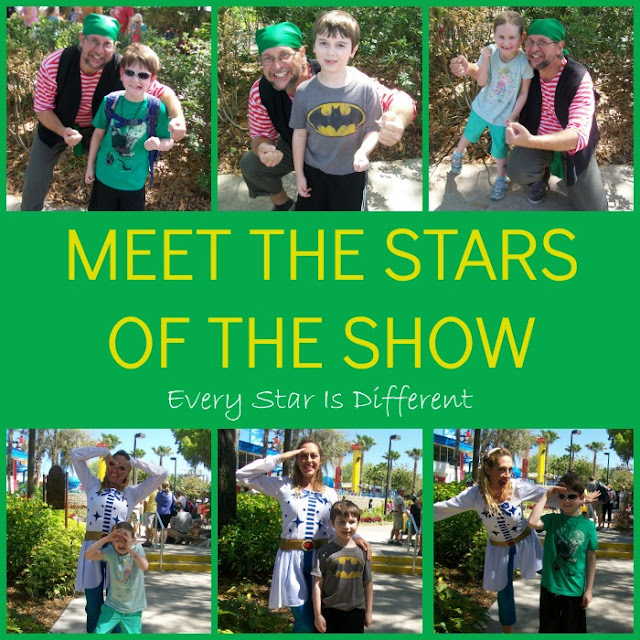 Before venturing on any rides, we wanted to be sure to catch the Pirate's Cove show. The children thoroughly enjoyed it. With our wheelchair markers, we were able to sit in the handicap section, which meant we didn't have to take Bulldozer or Sunshine out of their strollers. This is such a HUGE deal, as we can never predict when they'll have significant struggles with functioning. 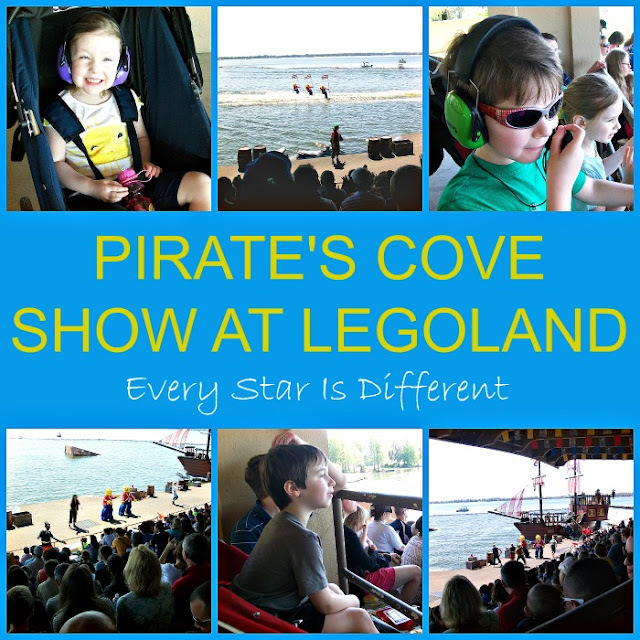 The Pirate's Cove show at LEGOLAND is filled with sensory experiences. There are loud noises, strong smells and some surprising sights. We came prepared with the children's sunglasses,Snug Safe n Sound Kids Earmuffs / Hearing Protectors, and chewies. Our preparations paid off and everyone loved the show. After the show, we were surprised and excited to see that you could meet cast members. Lines for the LEGO characters were quite long, but we were able to meet the two other main characters in the plot. They were fabulous with our children. After the show, we couldn't wait to try out some rides. Once we got the hang of using the Hero Access Passes, it was smooth sailing. When we did have questions and found a crew member to help us, they were amazing. Don't ever hesitate to ask!!! Dinomite surprised us. He built up the courage to try new rides. I owe it all to LEGO. There is no better incentive. The day was truly magical for him. His favorite ride was The Quest for Chi. Bulldozer knew exactly what he wanted to do upon arriving at LEGOLAND. There was nothing that was going to stop him from going to Ford Driving School. I believe when our visit was said and done, he did it four times. 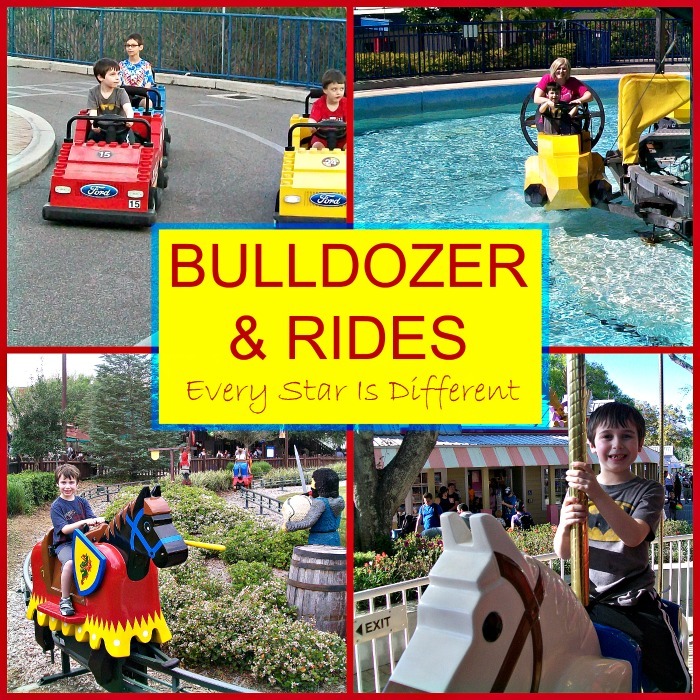 Bulldozer also went on his first roller coaster. I'm not sure if he'll ever go on one again, but he sure hasn't stopped talking about it. Lol. Princess, my girl who claims to have no fears, discovered that she does not like roller coasters one bit and is afraid of heights. That didn't stop her from having loads of fun on all of the other rides though. Quite honestly I have no idea which was her favorite because she was having so much fun. 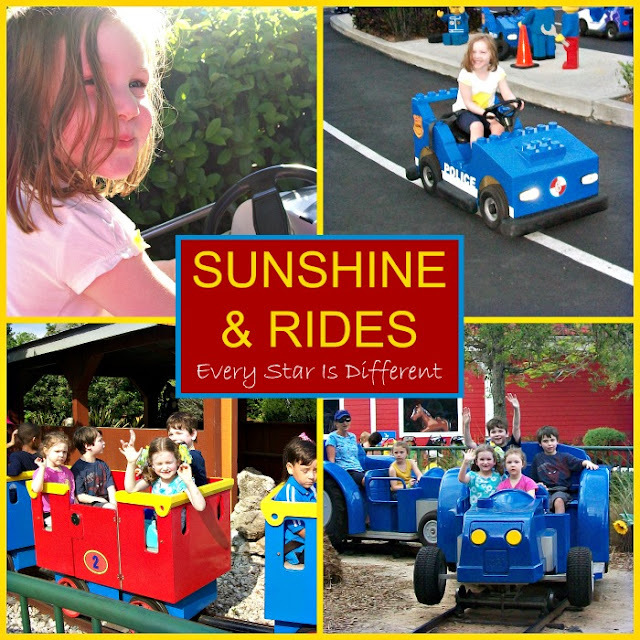 Sunshine enjoyed rides that were perfect for her in every way. Her favorites include Ford Jr. Driving School and Safari Trek. If you're worried about finding rides and/or attractions your special needs children can enjoy, DON'T! There is truly something for everyone. I can't believe how happy and content ALL of my children were. The only complaint they have is that they didn't get to try out every ride. We could have spent three days in the park and still not done everything there was to do. LEGOLAND is fabulous when handling special dietary needs. You are able to bring anything you need into the park with you. We brought most of our food with us because of Bulldozer and Sunshine's food allergies, but did splurge on HUGE bowls of ice cream. Everyone enjoyed them. Another aspect of LEGOLAND the boys loved was the opportunity to trade LEGO minifigures. Each brought a few from home and spent the day looking at crew members' pins, trying to find the perfect figures. Both boys were very excited about their take-home collection. In one part of the park, they also had a LEGO trade post where there were endless options to choose from. 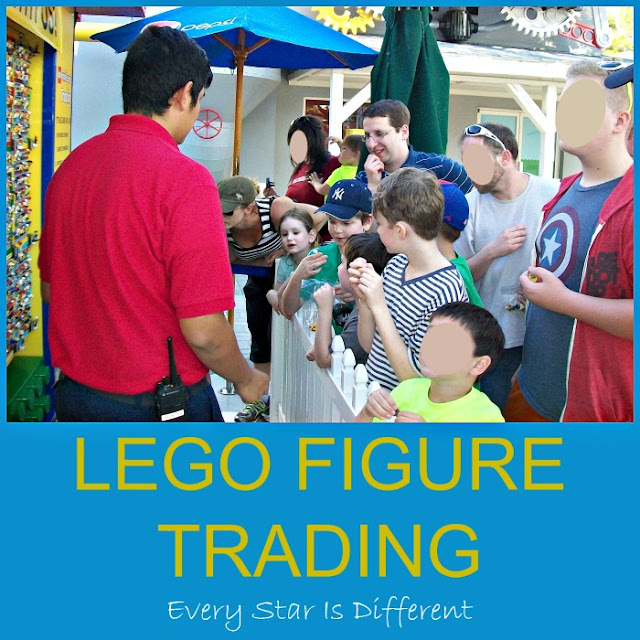 The boys not only had fun selecting new LEGO minifigures, but also enjoyed how quickly their trade-in figures were snatched up and/or the comments crew members had when they were trading. These experiences provided the boys perfect opportunities to practice social skills in a setting that was completely up their alley. Every time we passed the character greeting spot, the children would check who was there and how long the line was. To our surprise on one occasion the line was short and there were two characters they couldn't wait to meet. Once again the characters were great. The only thing I wasn't a fan of was the red backdrop that made picture taking a little bit difficult. Lol. 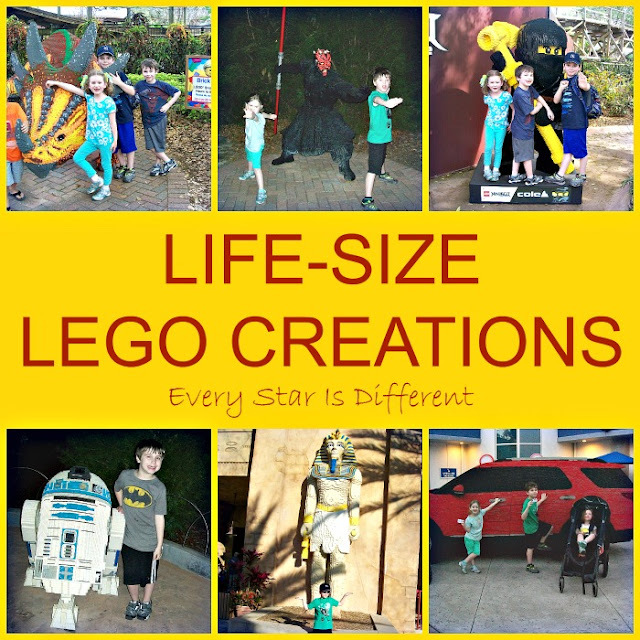 We saved admiring the life-size LEGO creations for the end of our day at the park. Part of me wishes we would have done so earlier for the sake of better pictures. However, there were definitely perks to saving them for last. The three older children loved taking pictures with their favorite statues, however Sunshine was quite startled and then frightened that some of them make noise and talk. Be sure you're aware of this before you stand your four year old autistic daughter next to a LEGO statue of Darth Vader who "comes alive." Lol. I've reflected on our day at LEGOLAND many times since we've returned home. 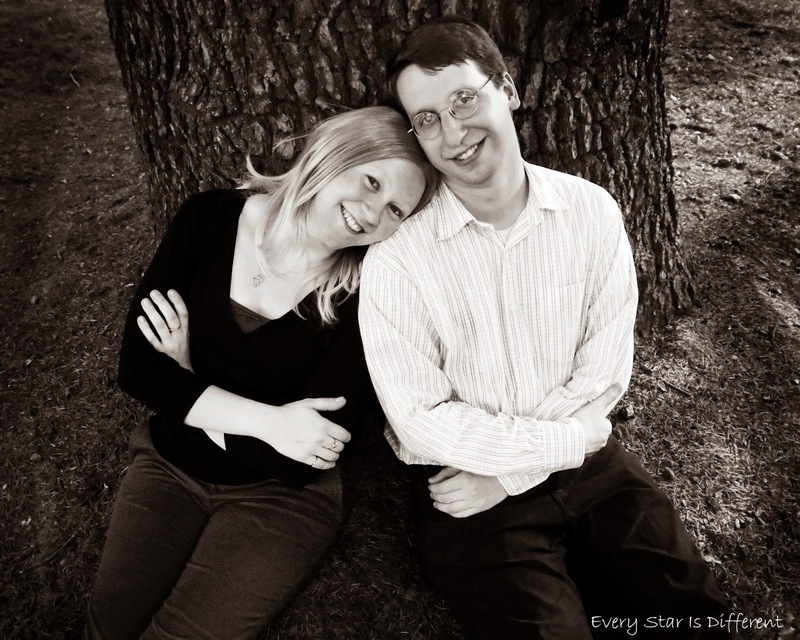 My husband and I have discussed our experiences there in detail. He loved that no matter where you went in the park, it didn't seem crowded. 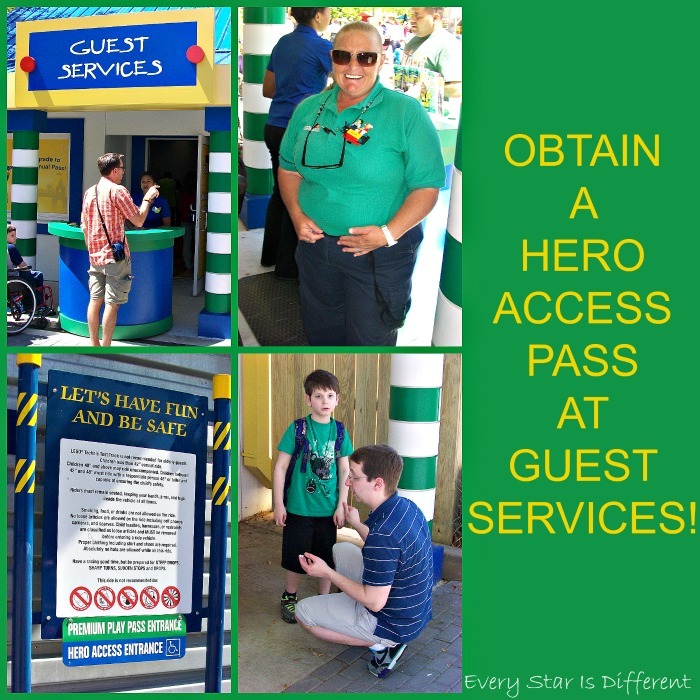 I loved that the crew members were so willing to help us, especially when we didn't quite know where to go to use our Hero Access Passes, or know how to bring our handicap strollers to the entrance/exits of the rides. My children seemed to love the entire experience. When asked if they like Walt Disney World or LEGOLAND better, they couldn't decide. That's a HUGE compliment. Next time we visit LEGOLAND, we will definitely attempt to stay on resort and spend a few days in the park. Love your photos! We haven't been there but surely, I'd like to share my own experience when we visit the themed park. Other than the Traffic and lines at the beginning this looks awesome!!!! It sounds like you were very well taken care of by the staff at Legoland. Plus, you always think ahead and I love how you helped your kids prepare by watching videos of the rides. It looks like everyone enjoyed their time... even Mama!